The Royal County Down Ladies star, who shocked world No 7 Stephanie Meadow in the first round, birdied the eighth and ninth to turn six up. And while Dunne fought back and reduced the deficit, Mehaffey birdied the par-three 15th from eight feet to close out her victory. 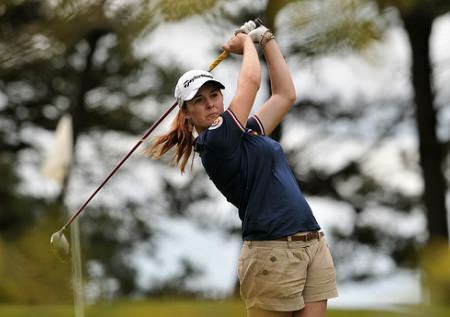 Having defeated her sister Leona with a sand save at the 19th in the morning, Lisa Maguire beat Amy Farrell 2 up in a tight clash to set up an intriguing semi-final meeting with Mehaffey. Tralee’s Mary Sheehy produced level par golf to win the Ita Wallace Trophy 10 and 8 against Ballinrobe’s Shannon Burke, much to the delight of her Tralee, Ballybunion and Killarney supporters. Shannon Burke (Ballinrobe) bt Jenny Maguire (Foxrock). 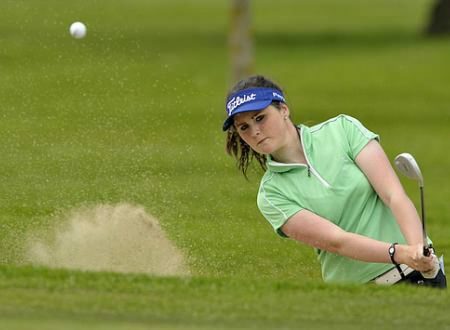 Defending champion Leona Maguire battled her way into the quarter-finals of the Lancome Irish Women’s Close Championship thanks to a pair of 4 and 3 wins at Portstewart. Olivia Mehaffey. Picture copyright irishladiesgolfunion When the world No 7 plays the world No 524, it should be a foregone conclusion. But nobody told Irish Girls Open champion Olivia Mehaffey as she sensationally dumped leading qualifier Stephanie Meadow out of the Irish Women’s Close in the first round at Ballybunion.